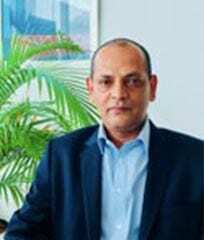 Since leaving the Indian Air Force in 2005, Dipankar has been associated with the aviation industry in India in various roles. He has been involved with Aircraft Operations and Sales as part of the dealership team in India representing Bell Helicopter and Textron Aviation. “Being part of the JetHQ team is both an exciting opportunity for me as this an important time in the Indian Aviation market with booming passenger traffic and a concerted push by all stake holders to remove bottlenecks for rapid industry expansion.” Dipankar will work closely with Allan and has been appointed as Sales Director for Pre Owned Aircraft in the India region.